Updating an older, but relevant and valuable post could drive more traffic, establish more credibility, and build more loyal readership faster than writing a new one - at a fraction of time and resources. Plus, the more you write, the more liability you create for yourself. ? An up-to-date relevant older post will result in just as much attention in social media, bring in just as much traffic back to your blog, will be just as likely to be linked to and ranked in the search engines as a brand new post. When people find their way to an outdated post on your blog (whether through search engines, mentions on other blogs, guest posts, etc. ), they are very unlikely to be impressed – you’ll lose your credibility and potential readership. And the difference between updating an older post vs writing a brand new one? Hours and hours of work. Don’t get me wrong: writing new content should remain the cornerstone of your online marketing. BUT your brand new content should be just a tip of the iceberg leading your readers to the wealth of expertise in your industry – i.e. the rest of your blog. In other words, it’s time to stop writing and start purging. Let’s start with a handy checklist you can apply to any post you need to update. First, you need to determine which blog posts you need to update first – and it only makes sense to start with those that currently enjoy the most web traffic. Here’s your plan of action step by step. Chances are the majority of your posts that are currently bringing in search engine traffic were published a while ago, thus are most likely outdated. Let’s start our content purge potentials by identifying our top search engine performers. The best way to do it is to take a look at top Landing Pages in your Google Analytics (found under Acquisition=>Search Engine Optimization=>Landing Pages). Referral traffic is traffic that comes to your website via a citation on another website, for example, a blog mention, social media share, YouTube video, etc. For this particular step of purging our outdated content, we’ll focus on referrals from other blogs. Click on Referral to get a list of referring sites. Click on a specific site name to find the post(s) that mention(s) your blog. Since Google Analytics doesn’t currently list the Landing Pages for these referrals (i.e. which of your posts/pages those referral blogs are linking out to), you’ll have to visit each of them manually to get that info. Most of social media traffic is very short-lived in nature: you share a post, it gets picked up by social media influencers (lucky you! ), you enjoy a spike in traffic, which quickly dies down. It wouldn’t be very productive for us to include those kinds of posts in our content purge list. However, if you use social media sites like YouTube, Slideshare, and others of similar nature, you might find a few of your posts that are frequented by referrals from those sites. These are the ones that are definitely worth keeping your attention. Click on any particular network that brings in a steady flow of traffic. Get a list of your blog posts that get the most traffic love. If you are running any sort of “Popular Posts” or “Recent Posts” widgets in your sidebar, you’d better make sure you direct your readers to quality posts – goes without saying. Don’t need any tools to figure this one out; just add those posts to your content purge list. The best way to take control over the quality of posts shown in your sidebar is to create a separate category (I called mine “Best of”) where you manually add posts that you know will add value to your readers’ experience. Then use any Popular Post widget to display those posts in your sidebar limiting it to that specific category. This is an easy one as well: I bet there’s a number of your blog posts you find yourself internally linking out to from many of your new posts. That, most likely, is an indication that those are your pillar evergreen posts that deserve an occasional sprucing up. You guessed it: they go on your content purge list as well. Don’t scratch your head every time you need to find that special post to reference when writing a new blog post. Create a simple spreadsheet of your best work and add to it whenever you publish a new link-worthy post. Doesn’t have to be anything fancy: a simple Google Drive spreadsheet with post names and URLs broken down into categories will do just fine. You can take a look at/copy mine here. Now that you have your list of potential content purge candidates, it’s time to have fun with it. Here’s your checklist on what to do (in order of importance) when updating a post. One important thing to note when updating your post copy: make sure it’s written the way your reader prefers to read it. And how does your reader want to read it? BARELY. Skimming is the new reading. Put your best foot forward and don’t hold back – give your readers the skinny quickly and concisely. And don’t forget to add those sharing buttons at the top! This is something I am currently in the process of doing at Traffic Generation Café: scouring through all images in my Media Library, purging the ones that might be copyrighted, i.e. land me in a pool of legal trouble, and replacing them with images that fit my writing style a lot better. Step 3. Update Your Call-to-Action (CTA). Say it with me: C-O-N-V-E-R-S-I-O-N-S – that’s our ultimate goal when publishing anything on our sites. Is your post CTA a strong one? Do you even have one? Do you have one too many? Internal links (links in your blog posts pointing to other relevant pages/posts on your blog) are one of the most effective ways to promote your content. That’s how most of your readers discover various posts on your blog and that’s what encourages search engine spiders to crawl your site. With that in mind, your internal linking needs to be smart, effective, relevant, and up to date. And DON’T use any automatic plugins to do your internal linking for you – it’s bad for SEO and usually results in bad reader experience. As time goes by, your blog will inevitably end up with a bunch of 404 Not Found errors, links to spam websites (yes, websites change hands and go rogue all the time), and outdated mentions. Needless to say, all of the above is bad for business. No one likes to click on a link just to end up on a 404 page. If your comment section is inundated with links to less-than-reputable sites, you’ll just end up attracting even more spam. Even though broken links might not have a direct effect on your rankings, it might still limit your crawl budget (how much time search engine spiders spend crawling your website). 404 (Not Found) Errors: Do They Hurt Your Site? 1. Scan your entire blog or a specific page for broken links. If you are a tear-the-bandaid-off-in-one-quick-swoop kind of person, you might want to do a complete site scan and do one massive attack on all your broken links. It takes time, but this kind of purge might be the best way to go. If you are not ready for a project and to stay focused on our task of purging specific outdated content, the easiest way to determine if you have any broken links on a specific page is to use a free broken link checker like DeadLinkChecker.com. 2. Update the page with relevant external resources. Link out to fresh relevant sources outside your blog that is. When you generously mention/link to other blogs in your blog posts, you end up promoting your own blog by promoting others. By the way, the reason I knew about the last two posts I just mentioned was because the authors (+Brian Lang and +Konrad Sanders) mentioned me in their respective posts. And now they are getting mentioned at Traffic Generation Café. Come to your own conclusions! So go ahead and add those external links; it’s good for your reading community and good for you! Make sure you add target=”_blank” to all your (external) links to ensure those links open in a new window/tab. Install Sharedby.co toolbar on your site. I’ve had it for a while at Traffic Generation Café and saw fantastic results with it. SEO practices are ever-changing and we need to keep up if we have any hope to attract search engine visitors. When updating an older blog post, pay attention to the post’s title tag, meta description, as well as topical keywords within the content body.  To make my life easier, I use Easy WP SEO plugin to keep track of my on-page optimization at Traffic Generation Café. Also remember that due to the recent Google changes, you need to keep your title tag to under 55 characters. Social media markup (or lack thereof) can make a huge difference in how your post looks when shared on social media and how much social media traffic it will actually drive. It’s painfully useless to go through so much work of updating your outdated blog posts without reaping the ultimate reward of more website traffic, don’t you think? Social media markup includes optimizing your post for Open Graph (Facebook markup, but also used by Google+ and Twitter) and Twitter Cards (used by Twitter). To make including social markup a breeze, I once again suggest using Easy WP SEO plugin I mentioned above – just add blog post title, description, and featured image and your post will start standing out in social media. Fill out the rest and you’ll be way ahead of your competitors. Last but not least, make sure your title lives up to the post’s greatness. My personal suggestion is to drop fancy and go for benefits. Love the following examples from Michael Gray’s Why You Should Blog Less and Update More, showing how you should/shouldn’t title your blog post. I was once told that my blog posts are nothing but one-sentence paragraphs. Guess what? It’s for a reason. It makes my content more scannable, skimmable, shareable, and traffic-driveable. White space, bullet points, eye-catching images, and headers are your best friends when it comes down to reader retention. This is my most favorite way to maximize website traffic and conversions from each post I write: Content Leverage. In short, you take your blog post and repurpose it in various media formats; for instance. PowerPoint Presentation: create an outline, turn it into a PowerPoint presentation, and submit it to Slideshare-type sites. Video: make an audio to go with the presentation and turn it into a video – syndicate to video sites. PDF: make a transcript of your video, turn it into a PDF – syndicate to PDF sites. Podcast: turn the audio file into a podcast. Images: turn key points of your post into images – submit them to sites like Pinterest and Instagram. Guest posts: use the main concepts of your original post and develop them into a guest post (not duplicating, but complimenting it); link the guest post to your original one. Free WSO: submit your PDF as a free WSO through WarriorForum.com. Webinars: if the topic has depth to it, you can expand your original PowerPoint presentation into a webinar (conduct it for your own readers or, better yet, team up with another blogger to present it to their readers). The opportunity to drive web traffic utilizing the same original piece of content grows exponentially! Before we wrap up the post, here are a few useful pointers to remember when purging your outdated content. 1. Change the post; don’t touch URL. It makes much more sense for SEO purposes to update the original post, rather than publish the updated version under a new URL. Since the post you are editing is live, it’s best to copy/paste the original version into a new post draft, make all the necessary changes there, then copy/paste everything to replace the original post. 2. Add a post footer to explain the updates. It’s always a good idea to add a note at the bottom of your updated post to tell your readers that the post has been completely revamped. This is particularly important if a post has quite a few comments accumulated since it was first published. Your readers might find it frustrating to see the new publish date, but comments from months and years ago. 3. Post Updated on Date. You can also choose to display a “Last Updated On” date on your newly updated post just like I do at Traffic Generation Café at the top of each post. This is a great way to let readers know they are reading something that’s current and relevant. Word of caution: don’t mess with the code without backing up your blog first. That’s not a problem when you are hosted on WP Engine because they give you a staging server where you can test everything you do without stress. Also, if you are using Genesis Framework for your blog, like I do at Traffic Generation Café, here’s a simpler way (and you don’t have to mess with the code – bonus): the Simple Edits plugin for Genesis plus a short string of code to add – thanks to Chris Lema for this tip. 4. Remove content that’s beyond help. Sometimes the best thing to do with outdated content is to get rid of it altogether. Before trashing any old blog post, make sure to redirect its URL to the most relevant page – another post on a similar topic or its category page. I use Redirection plugin for that. You can’t count on continuously writing new posts to bring in traffic back to your site. Take my word for it: updating your old content is not an option, it’s your best friend. Just do it. I am off to update all the numerous posts I linked to in this one. Hi Ana, thanks for all this info. I just recently started looking into the effects of social signals on my website’s ranking and am looking forward to implementing some of your suggestions. Thanks so much, great post !! Let me know if you discover anything interesting. There are very few topics that are truly evergreen, Louis – maybe something like ‘how to boil an egg’… but then who wants to blog about that, right? Content updates come with the territory. I really enjoyed your article, I personally suffer from the mindset that I always need to keep pushing new articles out on my site, when in fact updating a couple of them would definitely not be a bad idea. Thanks for the pointers, will apply them from now on. You are very welcome, Malcolm; thanks for coming by. Really Nice article and a perfect checklist to update out dated content. You are very welcome, Farooq. Just No Words to Thank you. As on the initial stage in Blogging as always deleted too older posts which didn’t drive traffic but with this Details Tips i am sure by implementing it, will get plenty of traffic on older posts and also the Blog SEO will be optimized. You are very welcome, Aliakbar. I haven’t been publishing my income reports for a while now; not sure when I am planning on getting back to them. Ana, it’s good to know. It’s kind of like the concept of leftovers, they’re often tastier when you reheat them the next day. I’ll bookmark this checklist for future reference. Thanks a lot. Haha Anna, feel free to use it yourself in the future. Though I own and run a static website; not a blog, your post is very relevant. I have already updated some of my old pages. I still do. My updates can be easily managed in view of the small size of my site. Last update dates are introduced manually. As the site gets larger, this study should help organize and boost my work efforts. It’s good you hinted that social media traffic is spiky compared to SEO & referral traffic. This helps targeting and keeping priorities. I wonder if you approve mentioning this post on my site. Do you have reservations or limitations? Can’t believe I missed your comment, Osama! You are so right – a website is a website and needs updating from time to time. And of course, I don’t mind at all if you ever want to refer to this or any other post on your site. Great Post, but i have a few concerns regarding updating content. Personally, i didn’t find much results in SEO point of view by updating old content with fresh tips. How does Google consider it? The screenshot at the very beginning of the post is pretty clear on what Google thinks about updated content. Will updated content rank better than it will if you leave it alone? I don’t think there’s a definitive answer to this question. It depends on so many variables. Do I care? No, not really. I update content because it’s good for me readers and my reputation. Mmm. Not your average “repurposing content” ideas here. It’s about giving your old content new LIFE. For fellas like me that have been out of the loop for a while, this page offers hope. More than simply racking my brain to come up with something totally NEW to say… reviewing, rekindling, updating and adding new thought to what I really WANTED to say six months ago but didn’t have the words sounds a whole lot better. PLUS all the cool tricks to add traffic juice to the mix. You’ve never yet steered me wrong when it comes to enhancing the readership and engagement on my blog. Great to have you back, Kurt! It’s really a good to know that we can drive more traffic through using outdated content. Updating an older post with keeping it more valuable and relevant that will be really a good than writing a new one. I will definitely try it and hope i will get good result in traffic. I’m in the process of repurposing the majority of my content to use as leverage to get traffic from other avenues, however, if my content is outdated, then it wouldn’t be as effective as I intended. You also mentioned to update your images if you’re updating content and I think that is 100% spot on. I remember when I started off, I wasn’t really told that I couldn’t just take any image to use. But now I know that I could actually get into trouble for that so, like you, I’m going to go through my posts and update the images to suit my personality now … and is copyright free. Really great post here and I’m glad to share it with others so they can improve their blogs as well. Thanks so much, Andrew, and you are absolutely right – there are plenty of seemingly dark corners on every blog that could still get us into legal trouble for using copyrighted images; not worth taking that chance. Wow! Thanks for the awesome tips Ana! back here, I always find new gems..
We started implementing the Slide Share strategy. Will update you for sure on our progress! Slideshare is my favorite – do let me know how it goes! I’m always obsessed with creating new content, but it never occurred to me to update my old stuff. I’m literally going to follow your checklist step by step. Thanks so much for sharing this with us! Thanks for coming by, Candice; have fun storming your old content! A very practical post! One takeaway for me here is that when updating an old post, it is important to let readers know there is an update. The idea of adding post footer to explain updates is a step that should not be ignored. However, I still prefer to repurpose an old post instead of to update. This is because repurpose can help reach new type of audience. Ideally, you need to do both: update, then repurpose. Thanks for sharing, Sunday!